While it’s the off season for most triathletes, the XRCEL sponsored KIS Coaching Team are still racing strong. Fueled by XRCEL for several years now, the members, including top female pros and XRCEL ambassadors Carrie Lester and Laurel Wassner, continue to have incredible winning seasons . While the Triathlon season has come to an end for most athletes, we did have a few in action during the first two weeks of November. Congrats to Glen Lee for setting a 10 minute PR at the NYC marathon in a time of 3:47. Also on course conquering the 5 boroughs of NYC was teammate Rachel Pennycuick who also ran a PR time in 4:34:04! Big congrats to Sean McGuirk for competing at Ironman Florida. He’s been training hard and is showing improvement. This was his 3rd Full IRONMAN of the season. In NYC we had Susan Bos & Krissie Jenssen racing at the Haunted Half on Halloween. Susan used the race as a long training run, while Krissie was running for the podium and finished up 3rd In her Division. Great job ladies! This past weekend, Coach Sam, along with Luis Pou and Diana Ruderman, was in action at the USAT Long Course Championships. Coach Sam used this race as a training day for the upcoming IRONMAN in Cozumel. While Sam was out getting around the course for training, Luis and Diana were trying to finish off their seasons on a high. Both did just that with Diana finishing 3rd in the women’s 45-49 division, while Luis was able to take the overall title in the Men’s 40-44 Age Group. Congrats to you both for ending your seasons on the highest of notes! Caroline Gaynor was also down in Miami, but once again she was giving back to our sport by guiding a visually impaired athlete in the Aquabike division. Although the day did not go as planned, and they did an extra loop on the bike, they still gave it their all and finished the day smiling. Great job Caroline! Coach Scott and Coach Carrie flew south to Cabo San Lucas, Mexico to use the 70.3 as a final tune up for their last race of the season, which will be next month at IRONMAN Western Australia. Coach Carrie, fresh off her 7th place at last month’s IRONMAN World Championship , finished 3rd in the Women’s Pro Division earning $3,500 for her effort. Earlier this season, Carrie took her 8th Iron distance title as she became the 2017 IRONMAN France Champion. Coach Scott finished 13th in the Men’s Pro Division earning $0 for his effort but getting another good lesson that racing at the pointy end now a days, there is zero room for error or hesitation. Scott and Carrie were happy to be on hand to support Daniel Perez as he conquered what was the final Iron Distance event in the stunning location at the tip of the Baja Pennisula. Daniel had his 2nd best day ever over that distance, all the while carrying a smile all day despite the difficult course and extreme heat. Congrats Daniel! 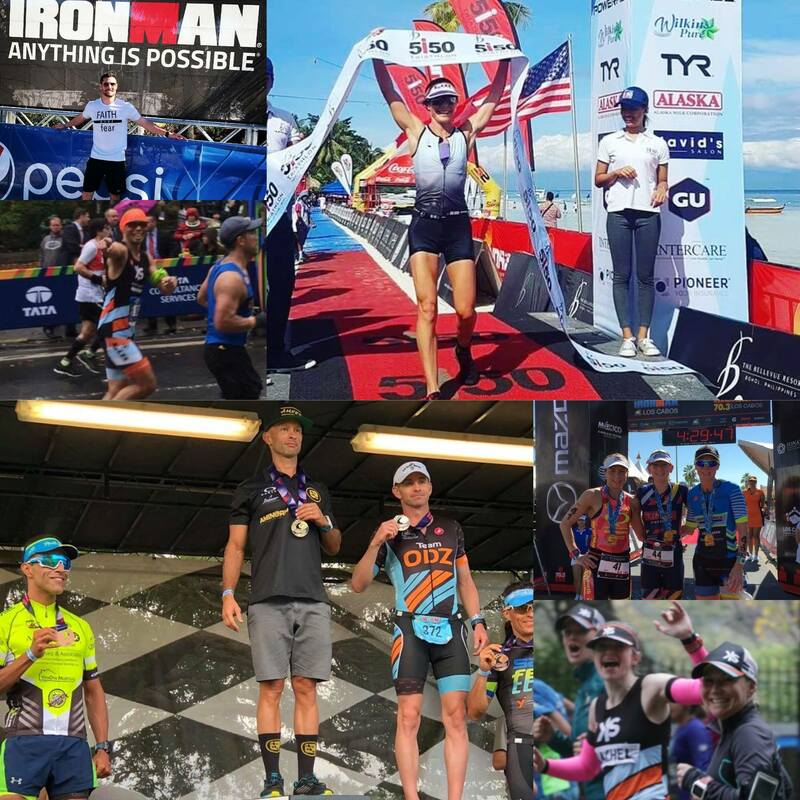 Last, but certainly not least we would like to not only welcome our newest KIS Coach, Laurel Wassner, but also say huge congratulations on finishing 7th in the Women’s Professional Division at IRONMAN Malaysia in 10:40, just after her 3rd place finish at 5150 Bohol the weekend before. Laurel is fresh off winning IRONMAN Taiwan (just a few weeks ago, so well done backing up in what is probably the hottest Iron Distance race on the planet. Laurel is based out of NYC and we are happy to welcome her to the KIS Family! Enjoy some down time now after collecting some valuable points towards your chase of Kona 2018!